Many of us feel that we could use office space even if we don’t work from home on a regular basis. After all, we all could use a space where we can just get things done when we need to, store all of our important documents and office supplies. But if you live in a smaller home, a designated room for an office isn’t always an option. And as someone who does work from home with no office, I know that the struggle can be real! The first step in setting up a functional and organized office space is to define the space you’re going to use. If you can, choose somewhere quiet…trying to work in the living room when your kids are playing superman is not optimal for productivity! In our home, our office space lives in the master bedroom. This is the quietest place we have, and we have just the right amount of space to fit everything we need. While some sort of filing system is important, using an entire drawer in your desk isn’t necessarily the most efficient use of space (especially if you have little room). Today you can find inexpensive portable filing systems or even storage ottomans for filing! The important point here is to choose a filing space that fits your needs. If you rarely access filed documents, an inexpensive and portable filing folder will likely do the trick. The solution to an organized home life. 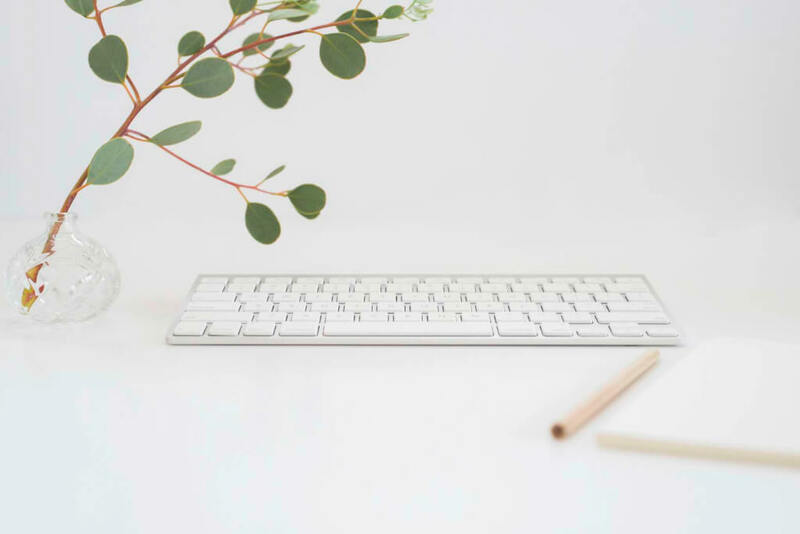 It may sound obvious, but distinguishing exactly what your office will and won’t be used for makes all the difference when it comes to keeping the space organized. For example, when we first moved into our condo we used our office nook for everything: my writing, my husband’s work-from-home computer, craft supplies, mailing and bills…the list goes on. We eventually worked out a separate craft corner for all the crafting supplies, and now the space feels and functions much more intentionally. So take the time now to decide what will and won’t live in the office space and you will ultimately feel less overwhelmed. How big of a desk do I need? How big of a desk can I fit in the space? Do I need more small drawers, or fewer large drawers? What will I put in each drawer? Does the desk offer enough workspace for our needs? What limitations does the desk have for my needs, and how could I overcome them in my space? Does the desk aesthetically work in my space? Answering these questions before you make a purchase will help you make the decision that makes sense for you. When you don’t have a full room designated as an office, it’s important to make the most of every inch! Wall mounted filing systems, calendars, hooks, peg boards, etc. make a huge difference in keeping the space organized over the long haul! It makes everything you need accessible and frees up valuable work and drawer space. Before you officially put together your office space, make sure you go through and declutter. You will likely find a lot of old papers, dried out pens and markers, broken staplers, and more that shouldn’t make their way into the space. Grab my organizing workbook! 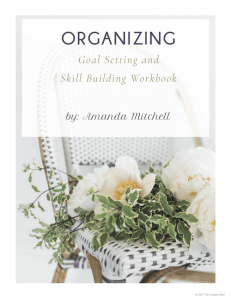 This inspirational yet practical workbook is the perfect resource to help you take your organizing skills to the next level. Are you ready simplify? Just opt-in to our email community below to get instant access! Having systems for everything ensures that you will keep your office space organized. How will you handle new/incoming papers? Recycling? Will you organize everything based on different color folders? Will you use a label maker? Mentally go through the processes that you will be doing in your office space and write down how you will handle everything. Those are my tips on how to organize an office space when you don’t have an office! Do you have an office space in your home? What have you done to organize the space? Let us know in the comments! 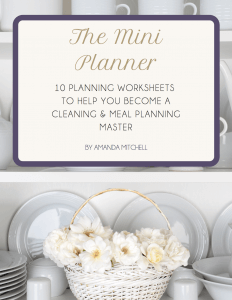 Join our community and get FREE access to my mini planner! You’ll also get weekly exclusive tips, ideas, and additional freebies! Love this!! And absolutely using more wall space to make the most or my office area!! Thanks for the tips! Hey there, I’m Amanda! 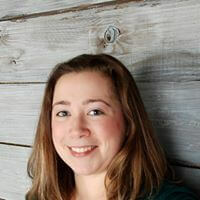 I’m the face behind The Modern Nest blog. But more importantly, I’m a lover of cheese, chocolate, snuggles, and anything soft. Here you’ll find information and ideas about DIY and home decor, organization, and modern homemaking. Welcome, and enjoy the blog! 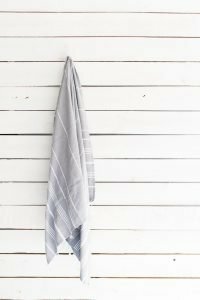 I am a DIY and organization blogger with a passion for using Adobe to make beautiful printable planners and quotes. 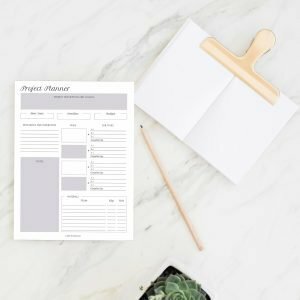 I have worked with several bloggers and online influencers to help them design printables for their own websites, and now I’d like to help you create your own that matches your needs! Your home binder will be in your inbox shortly! In the meantime, don't forget to follow us for more tips and inspo!